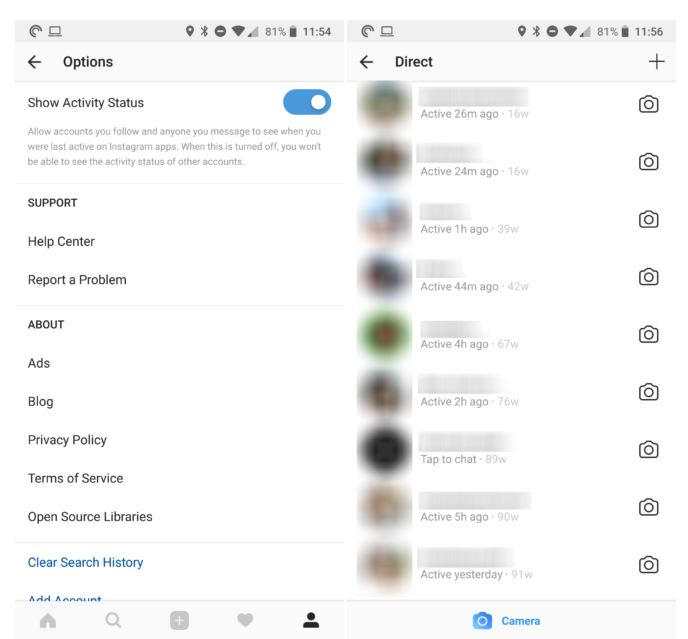 Due to quest to become the only app where you share photos, moments, and messages, Instagram is adding one new feature to its direct messages: activity status. 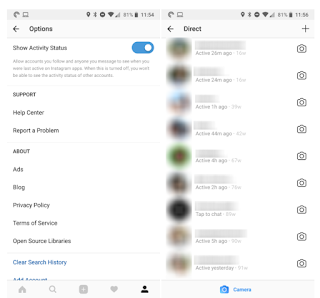 Just like you'd see when a person was last active on WhatsApp or Telegram or plenty of other messaging services, now you can do the same on Instagram and chide them for not replying with "oohs" and "aahs" to the preettay pic of a sunset that you just posted or the kissy face you messaged directly to them. Or you know, there's one more way to track every online activity of your significant other and get many more proofs and reasons to pick a fight over "Are you still checking out your ex on Instagram?" I guess this kind of feature isn't for me since I never started an Instagram DM with anyone, like eveeer, and my latest reply to anyone was about 16 weeks ago. But given how popular DMs are for the service, it was bound to happen. The option can be found under settings and can be disabled, but as with any similar activity status setting in other messaging apps, if you don't want others to see when you were last active then you also can't see when they were. We're not sure if the option is rolling out as a server-side switch or if it's limited to v29 of Instagram (APK Mirror download). I didn't have it on v28 but it showed up for me when the app updated to v29. If you want to check it out, your best bet is to grab the latest APK from the link above. Another potential Instagram feature that could be showing up is the option to search and insert GIFs in Stories as stickers. I looked for it, but didn't find it in my app. However, since I'm not too versed in Instagram Stories I'm not sure if I missed the clue of where to find it. So please let me know if you see the GIF search option and how to get to it.